Absolutely gorgeous deep ruby red glass brandy balloon, from the world famous Bohemia Czech range. It measures around 16cm tall and is in perfect undamaged condition. 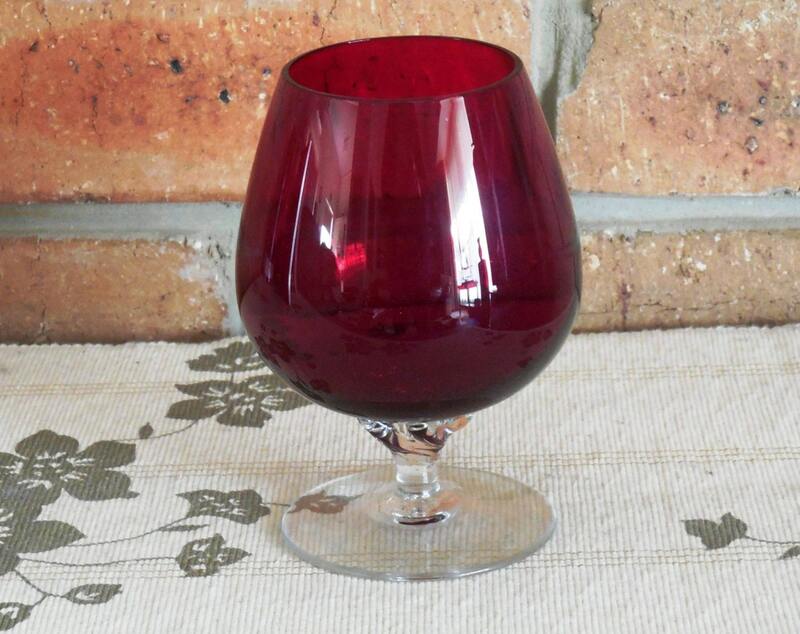 This would make a fabulous glass for your nightly port... or glass of Baileys... or of course what it was originally designed for, brandy!